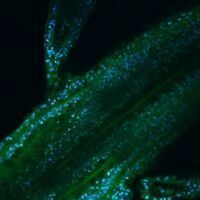 The commonly abused hallucinogen shows promise in extinguishing fear in rats, pointing to possible benefits for patients with post-traumatic stress disorder. 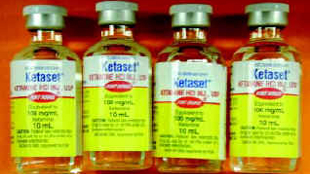 Ketamine bottles, Wikimedia, USGOV-DOJKetamine, a commonly used drug for sedation and general anesthesia and an abused hallucinogen, strengthens neuronal connections in the brain that help rats overcome oppressive fear, according to a presentation at this week’s Neuroscience 2012 conference in New Orleans, organized by the Society for Neuroscience (SfN). The study could have implications for the use of ketamine to treat patients with post-traumatic stress disorder (PTSD), who are often crippled by violent memories. 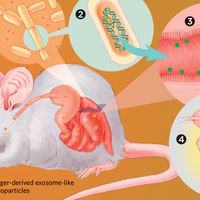 After conditioning rats to fear a particular tone, the researchers gave the animals ketamine or saline, then retrained them not to fear the tone. The next day, the rats that had been treated with ketamine were more likely to recall the new, positive association and less likely to exhibit fear-related freezing behavior when the tone was played, while saline-treated rats tended to recall the original, bad association. 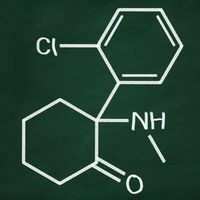 The findings suggest that a combination of exposure therapy and ketamine may help improve treatment for PTSD and other anxiety disorders.